Through our companionship services, we help families to continue living the lives they want to achieve by supporting them with help from our team providing In Home Elderly Care in Georgia. Our services allow families to take care of their own responsibilities at home and at work as we take good care of their senior loved one living away from them. But sometimes, things can get boring and too ordinary when we realize that we have been doing the same routine at home and at work, day in and day out. 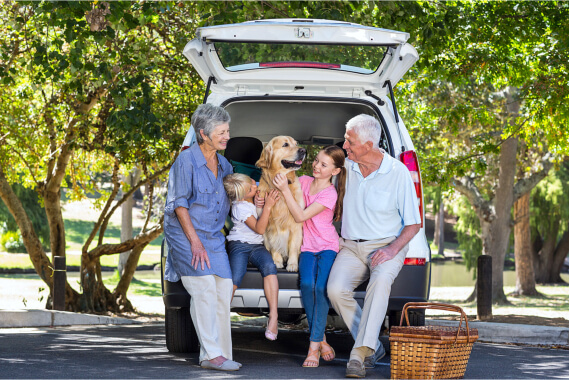 So shake things up, live a little, and enjoy a quick weekend trip with your family and homebound loved one so you can all get to spend some good quality time away from home. If in case your aging loved one uses a wheeled mobility aid, check out a place’s review online or call the establishment beforehand to know if it has mobility aid entrances and exits. Buildings and establishments are highly required these days to also provide convenience to persons with disabilities. Have a short yet well-deserved break with your loved one to get out of the routine of staying at home. This break must offer both rest and relaxation for you and your family, so choose a place that is not busy or confusing to really maximize your family’s downtime. Going on a trip can also be stressful, especially when reservations and pre-ordered meals do not get handled well by the other party. But, instead of focusing on those things that are beyond your control, always make sure to check on the needs of your senior so they can have a comfortable trip away from home. Above all the preparation, make sure to pack all necessary medication so they do not miss a single dose of their medication and to avoid any health hazards as result of a missed dosage of their prescription medicine. Come back renewed and let our staff extend Senior Home Care Services in Georgia so things continue to run smoothly and your family and homebound loved one can carry on with life. For noteworthy companionship services, allow Abundant Life Assisted Services to extend your love and care for your senior loved one. This entry was posted in Senior Care and tagged Day Trips, health hazards, Mobility-Aid-Friendly, Traveling. Bookmark the permalink.